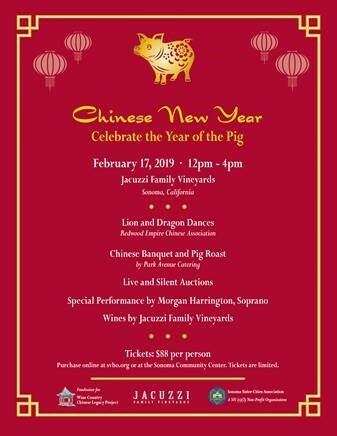 This important fundraiser will support the Association’s Penglai, China committee and their efforts to build a Ting in Sonoma’s Depot Park. The commemorative Ting, a Chinese-style pavilion, will honor the forgotten Chinese laborers who played a significant role in developing the wine industry in the mid-19th century. Tickets are limited and have sold out previously!